Camping in Norway is fun because you can combine it with numerous family-friendly activities. Camping expert Jan-Henrik Larsen points out some of the many sites that keep the children happy. , Jan-Henrik Larsen says. 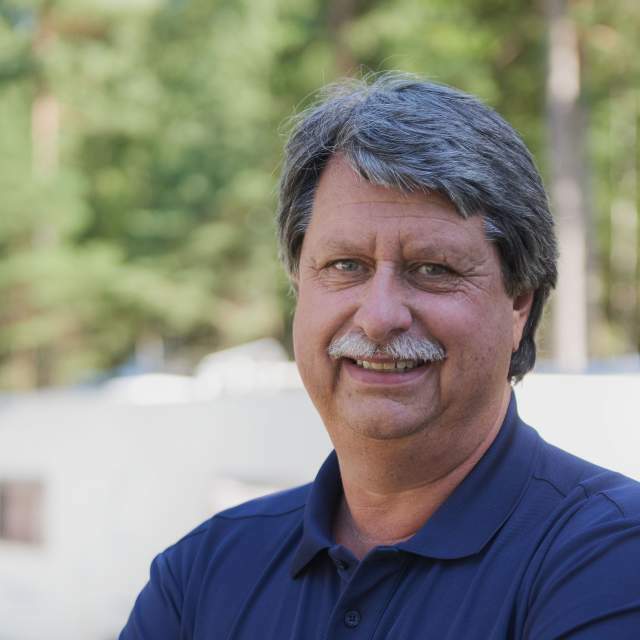 He is the head of camping trade promotion at the Norwegian Hospitality Association (NHO Reiseliv), an organisation that works with the classification of camping sites. And yes, families with children do go camping in Norway just because of the general quality of the sites. All over the country, you can often stay close to nature, even within city areas. “Travellers also say that Norway feels safe and clean and that the country is a quiet corner of the world”, Jan-Henrik continues. “And in contrast to the peace and quiet, families can find a great variety of cool activities that will give children of all ages memories for the rest of their lives”, he adds. , Jan-Henrik Larsen says. He is the head of camping trade promotion at the Norwegian Hospitality Association (NHO Reiseliv), an organization that works with the classification of camping sites. And yes, families with children go camping in Norway just because of the general quality of the sites. All over the country, you can often stay close to nature, even within city areas. “Travelers also say that Norway feels safe and clean and that the country is a quiet corner of the world”, Jan-Henrik continues. Jan-Henrik Larsen is the head of camping trade promotion at the Norwegian Hospitality Association (the largest employers and trade organization in Norway) and continues to pursue his personal passion for the same field by extensive traveling all over Norway. Also, many camping sites have recently upgraded their playgrounds and other offers with exciting additions. Nearby activities range from playing on the beach and paddling to climbing parks, and some sites now even have computer games. Or why not jump into a waterpark, spend a day at a theme park, or discover the life of the Vikings? “Luckily, no Norwegian camping site is alike”, Jan-Henrik says and recommends that you look them up and plan your route through Norway. The places below are some of the numerous sites in the Norwegian Camping Guide (in Norwegian, English, and German). 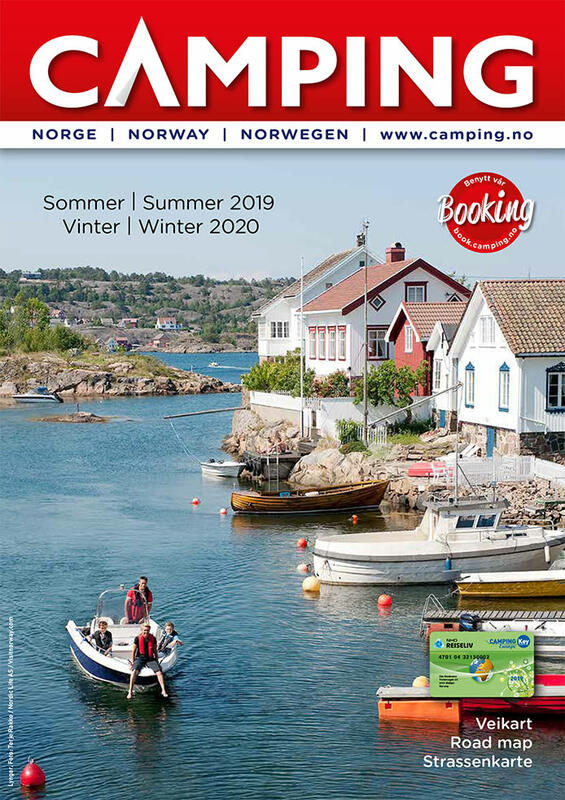 Most of them are also found in the listings of Norsk bobil- og caravanklubb (the Norwegian association for motorhomes and caravans). To get you started, here are some tips to family-friendly camping. Along your route, there will be plenty of other places that have made similar efforts. Fagernes in Valdres lies at the foot of some of Norway’s most famous mountains. By car, there is easy access to Fagernes camping from most directions. The lush, V-shaped Hallingdal valley is one of Eastern Norway’s major valleys and a popular tourist destination. The Hallingdalselva river runs right past Hallingdal holiday park. Put up your tent at Moysand family camping in Grimstad, a charming maritime city in Southern Norway. The municipality of Grimstad borders to the city of Arendal in the east and Lillesand in the west. Hardangertun hytter & familiepark, or Mikkelparken ferietun, in the village of Kinsarvik is situated at a bay where the Sørfjord and the Eidfjord come together to create the most important part of the Hardangerfjord. in Southern Norway. The Risør area is characterised by small islands and other islets that protect against the open ocean of Skagerrak. in Southern Norway. The Risør area is characterized by small islands and other islets that protect against the open ocean of Skagerrak. North of the Sognefjord you’ll find the beautiful coastline of Nordfjord. Byrkjelo camping by the Storelva river offers a family friendly pool and easy hiking routes. Take full advantage of the diversity of Norsjø ferieland in the countryside in Telemark. This is traditionally a central port of call at the Telemark canal. Spend eventful days at Ballangen camping in Northern Norway. The site is located by the Ofotfjord only a few hours from Lofoten. The nearest bigger city is Narvik. Troms county offers some of the most exotic experiences of Northern Norway in one place. Tromsø lodge and camping combines wild Arctic nature with closeness to Tromsø city centre. Discover Inner Østfold and Aremark at Kirkeng camping close to the Swedish border. Life in the forest by the lakes offers a lot of unseen activities. Camp at Hornnes camping near Evje, located in connection with the diverse Mineralparken mineral park, an activity park for the whole family. At Hornnes you can choose to participate in the activities or stay in a more private area. The Otra river runs southwards from the Byglandsfjorden lake in Setesdal. Where the river makes a turn, you’ll find the idyllic Odden camping on a peaceful tongue of land. The city of Molde has a picturesque charm and panoramic views. Kviltorp camping mixes urban fun with child-friendly activities. The Helgeland coast is full of beautiful peninsulas, islands, and islets. 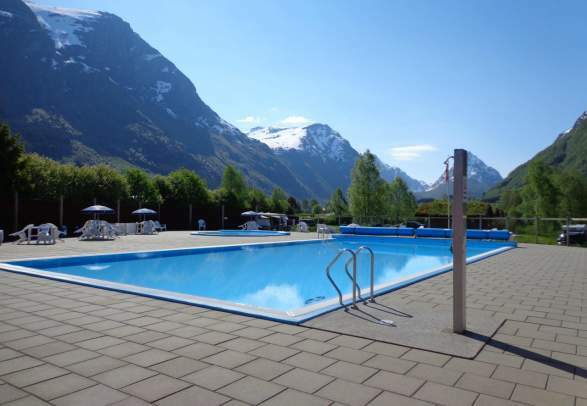 Mosjøen camping has easy access from Norway’s main road E6, and you’ll find an indoor and outdoor waterpark close by. The county of Telemark in the westernmost part of Eastern Norway is where wide open valleys meet high mountains. Bø camping is a true playground and lies close to both a large waterpark and a climbing park. The southernmost part of Norway offers sea, sun, and fun for the whole family. Solstrand camping is located where the wild river of Audna runs into the sea. The coastal landscape of Jæren is popular for its perfect white beaches. 60 kilometres from Stavanger you will find Brusand camping with a large playground and fun activities. The coastal landscape of Jæren is popular for its perfect white beaches. 37 miles from Stavanger you will find Brusand camping with a large playground and fun activities.